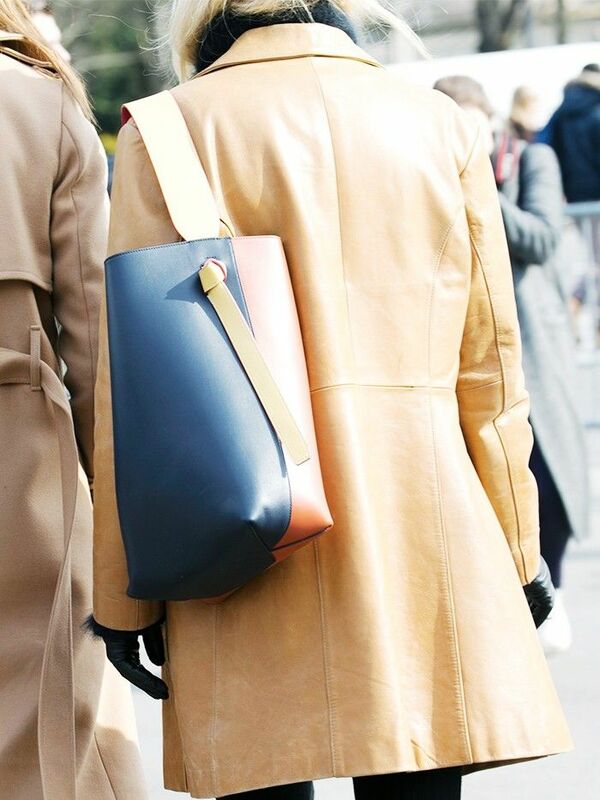 There are certain designer handbags that will always and forever have a presence on the streets. Can you imagine a world without the Chanel 2.55? No, neither can we. And we all know that Gucci has been on an extended role, but what else is going on in the world of leather goods? The industry's elite crowd was privy to the freshest styles early and, of course, toted them with great pride throughout February's fashion weeks. This gave us two things: First, a case of the green-eyed monster, but second, the realisation that this stylish set was simply providing everyone else with a heads-up and head start. Their carrying companions are pointers towards the key silhouettes, details, finishes, styles and labels that you'll no doubt want to know about when it comes to making that all-important spring purchase. J.W.Anderson's complex but oh-so-handy Puzzle tote from Loewe has been popular for quite some time now. Thanks to tempting new colourways and the inclusion of metallics, embossing, prints and even plastic, there's a version for everyone. Keen Instagram eyes will have spotted a select circle of girls carrying the über-luxe, sculptural bags of New York–based designer Gabriela Hearst. Russian fashion mogul Miroslava Duma is head girl for the hot new ticket. Her handbags are not yet available in the UK, but we'd recommend you watch this space. There are more Chloé It bags in recent history books than we've had quinoa salads, but rather than a singular style taking up the pavement, this season it's all about the way the house has flourished many versions with a colourful fringe. Whether miniature bucket-basket hybrids or super-small purses carried elegantly via a circular metal hoop, we saw a flurry of scaled-down handbags hit the front row circuit. Think they're unusable? Not so. It can be very liberating to ditch your daily baggage. Are you in the market for a new accessory or two? Check out the microtrends you can do on a micro budget!